If you were backed into a corner and forced to give an answer, what age would you say is “old”? What milestone birthday is The One that tips a person beyond the top of the hill into a mess of wrinkles and infirmity? How old do you have to be to be considered a senior citizen, an elderly person, an old geezer? I suspect that line is a shifting one for all of us, that the number grows higher with each passing year. Old age is relative to our current age. Ageism is rampant in our country and culture, subtle and sinister in that people who practice it probably don’t even realize they are. I’ve been on the receiving end of it a few times, and it’s shocking. In my mind, I’m not old! 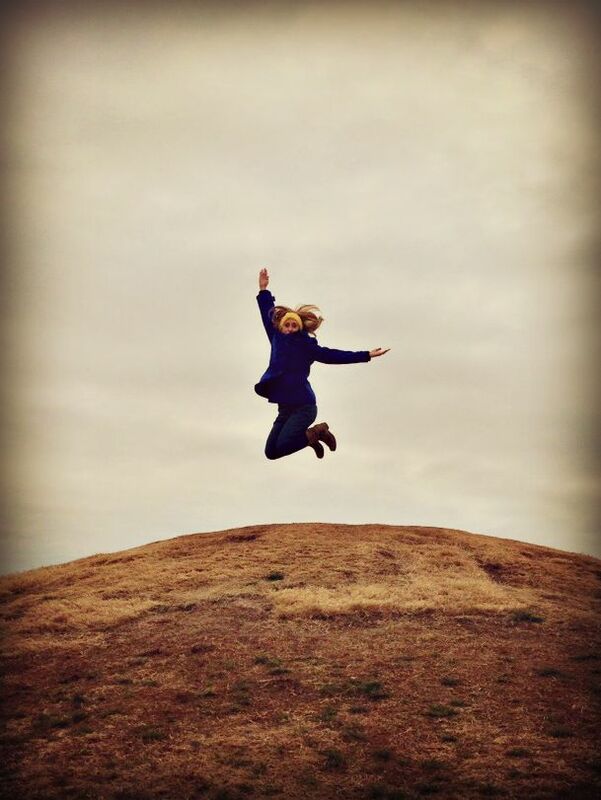 (Showing up to film a Tim McGraw music video comes to mind….) But if I’m older than you, relatively speaking, I might be. Or not. Depends on how big a jerk you are. But wait–that’s part of the problem. If I think you’re a jerk (which I don’t, really) because you treat me differently because I’m older than you, that’s giving mental ascent to your prejudice. It is buying into the thought that at some point Old Age < Youth. It’s agreeing that at some point you become less valuable because of your age. You do not become less valuable as you age, but your currency (what you have to offer) may change. In many important ways, your value increases. 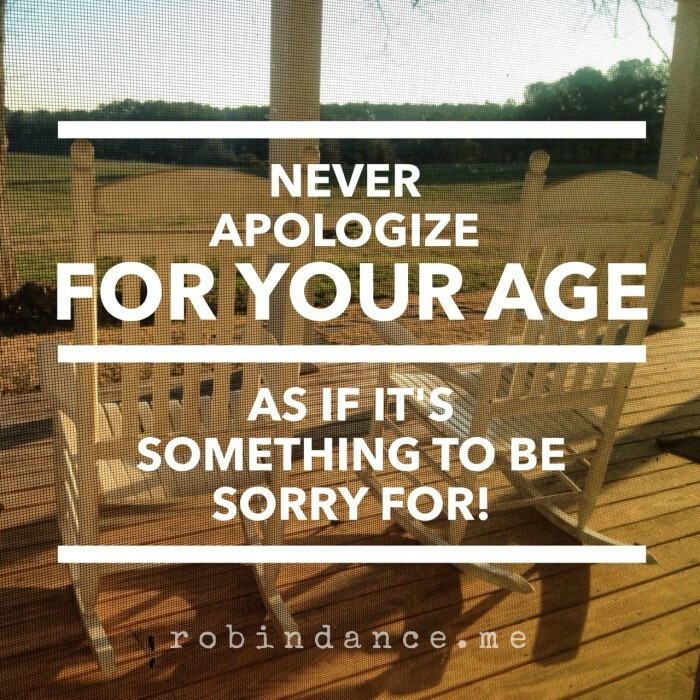 Never apologize for your age as if it’s something to be sorry for! My God, growing old is the price you pay for long life, and it’s a privilege not everyone shares. What you gain over time in wisdom and experience is invaluable! By the time you reach midlife, you’ve endured heartache, you’ve survived tragedy, you’ve learned so many lessons your life is a textbook. You have amassed a wealth of experience from the wise and poor choices you’ve made. You’ve born consequence, you’ve collected milestones, you’ve celebrated new life, and you’ve mourned the passing of those you love. You have grown rich over time but you have to understand and value the currency. So I ignored it, took a birthday selfie in bed, and posted it as a proverbial finger to aging. Clearly, I’m winning the internet. It’s fun to watch old episodes of Friends on Netflix, and when this episode (with Brad Pitt, about Ross making out with their librarian when he was in high school) showed up not to long ago, it inspired this post. I’m pretty sure if any of the Friends cast watched it now, they’d think Mrs. Altman was pretty darn cool. There’s this scene in the 1980s version of About Last Night where Demi Moore’s character, Debbie, is rebuffing her former lover’s (and boss’s) advances. Steve’s a persistent one, not believing her first “no” and reminding her of what they once shared. Her response is angry…indignant, not so much at his uninvited gesture but because he can’t see “it,” her feelings for her current boyfriend. Debbie: There’s somebody else now. Steve: I don’t see a ring. 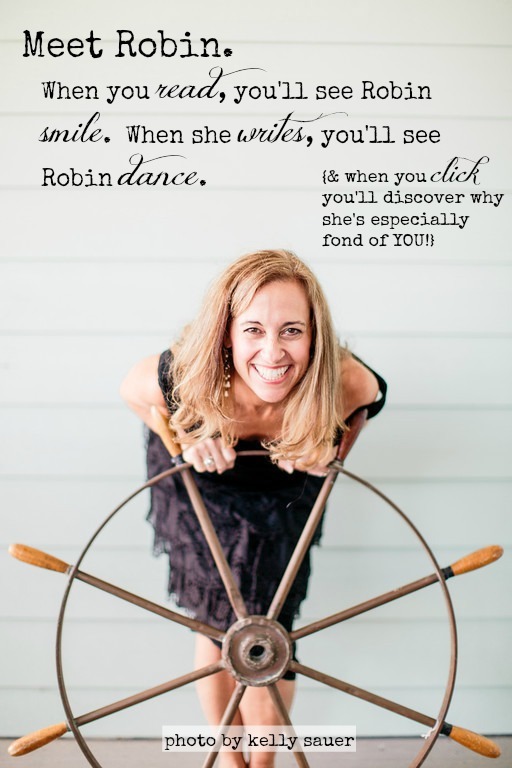 Debbie: I don’t need a ring…. Look at me. Don’t I look different? I’m in love, can’t you tell? This has never happened to me before. I want to have ten kids with this guy…doesn’t it show? The scene strongly resonates with me though under different circumstances. I’ve felt a similar emotional tension, markers of something significant. When we’re young, we think there’s a point at which we’re grown. What I’ve come to realize is as long as we’re alive, we never stop growing, at least not in the ways that matter most. In the beginning, we celebrate a series of Firsts. Somewhere beyond the crest of the Hill we celebrate lasts. Sometimes endings and beginnings are one in the same, the point of view and beauty therein lies in their beholder. 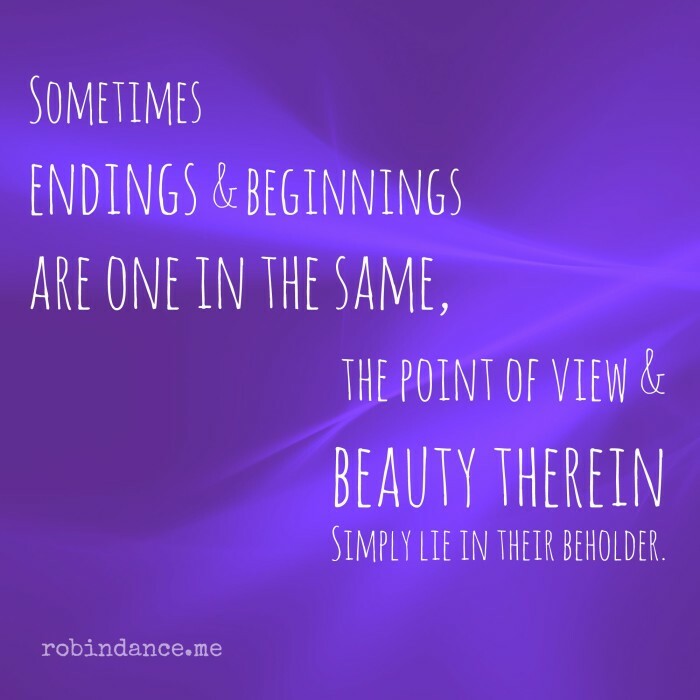 My youngest and I shared a dual ending/beginning, and it hit me he’s not the only one coming of age. So am I. Look at me! Don’t I look different? This has never happened to me before! 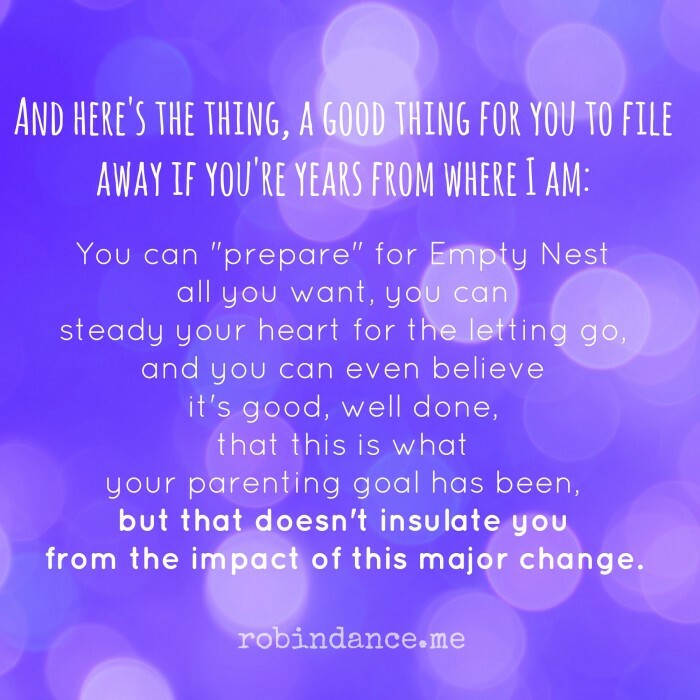 I didn’t expect to feel different, but I do. Nothing has changed and yet everything has changed. Sometimes all I need to talk me off the ledge are Ancient Words. Mr. Housman was a crusty old man with gravel in his voice. A stubble of white dusted the sides of his head. His skin was a map of liver spots and blotches. When he stood his tallest I could look him square, and his belly looked like he had swallowed a watermelon whole. Mr. Housman was never in a hurry. Even if those stubby legs could’ve shuttled him faster, he wouldn’t have bothered. He had lived long enough to learn that getting there quicker wasn’t always better. Better than most, he knew life was less a straight shot and more a tangled road. If Mr. Housman were a book, you’d do yourself wrong to judge him by the cover. He was much, much more than meets the eye. Slipping out in a wink or slight nod, mischievousness might’ve been his superpower. He had been with the company longer than I had been alive. When I first met him, I was intimidated. I was fresh out of school and he was a walking institution. I thought I knew something until I was around people like him. 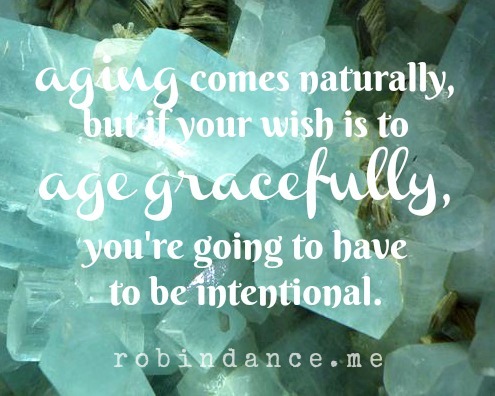 When in the presence of a sage, I became aware of how little I knew, how brief my life had been in comparison. People like Mr. Housman had trudged the history I had only read about in school. My perception started shifting as soon as the stories began. His prickly veneer masked satin. Mr. Housman had one son and one wife. He’d say he got it right the first time. Among a pile of surprises I’d learn about Mr. Housman was finding out he and his missus fostered children. More than you can count on your fingers and toes. That’s something. When I got engaged, the company I worked for hosted a bridal luncheon a few weeks before I left to start my new life. I remember sitting around a long table full of people, most of whom probably came for the good eats more than the good-byes. Mr. Housman wasn’t among them. A few days later he stopped me in the hall and squired me to a quieter spot. He handed me a beautifully wrapped gift, heavy and easy enough to guess what was inside–a set of flatware. Though I would never admit it to him, I knew we weren’t going to use it. I had bought a good set of stainless when I moved out on my own a year earlier and I had registered for “nice” silverware when we engaged. …but that’s another story for another time. When he handed me the gift, he winked and said something like, “This is just a cover…” and I was confused as he reached to shake my hand, an odd gesture even for an odd man. He withdrew his own hand leaving a small slip of paper in my palm, or at least that’s what it felt like until I looked down. It was a yellow post-it note with three words in his familiar script. One of those surprises about Mr. Housman you wouldn’t have anticipated was his beautiful penmanship. I turned it over and it was stuck tight to a neatly folded $100 bill. (In today’s dollars, about $212, a very nice gift.) 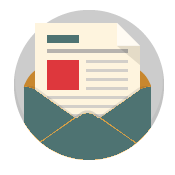 I quickly glanced up to challenge him – it was much too lavish a gift – and, without a word, he dismissed me with a wave of his hand as he turned to walk away. 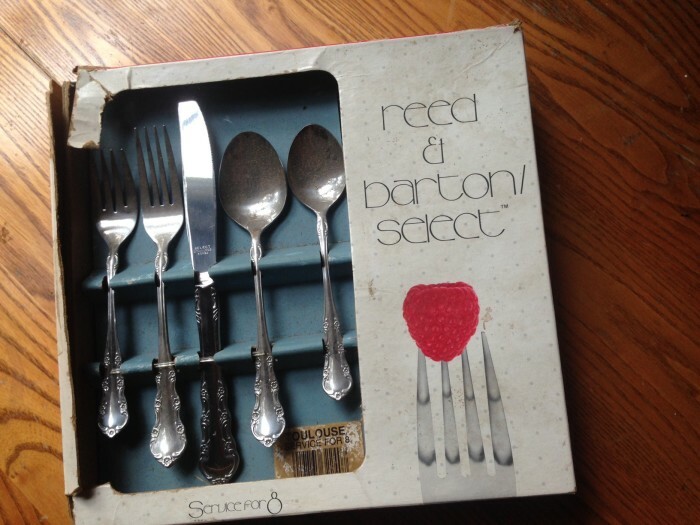 Twenty-eight years later, the flatware is still unopened in its original box, still a dream’s seed. Twenty-eight years later, Mr. Housman’s wedding gift is the one I remember best. At your age, just about everyone looks all over the house for their glasses and finds them on their head. There are certain things cliched by age and I’ve noticed myself snarling more than just a little sometimes when I slip my foot into that tattered shoe and it fits. One morning you wake up bright-eyed and bushy-tailed and the next day you feel like someone took a bat to your spine while you slept. A big wallop of What the heck? Age is gain and not loss. Repeat this phrase until you believe it. I love how Jean Fleming in her fantastical little book Pursue the Intentional Life altered the way I view my own body’s betrayals: they’re a reminder this world is only temporary. Signs of aging point to eternity in that my current body is perishable but the one to come is not. It blows my mind and I can’t think about it too much, the same way I can’t look at the sun for long. Its incendiary. 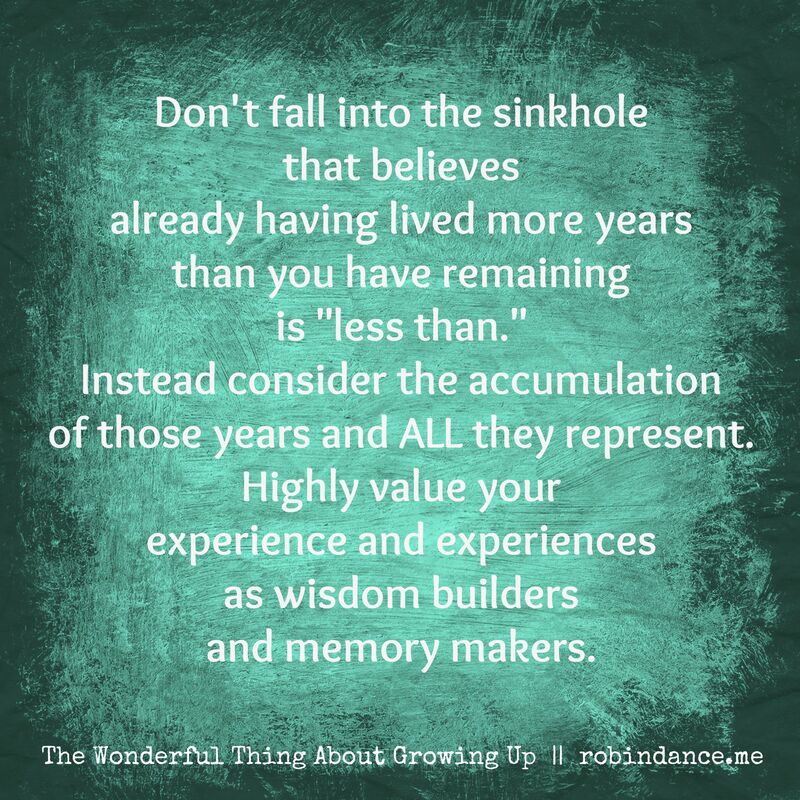 Don’t fall into the sinkhole that believes already having lived more years than you have remaining is “less than.” Instead consider the accumulation of those years and all they represent. 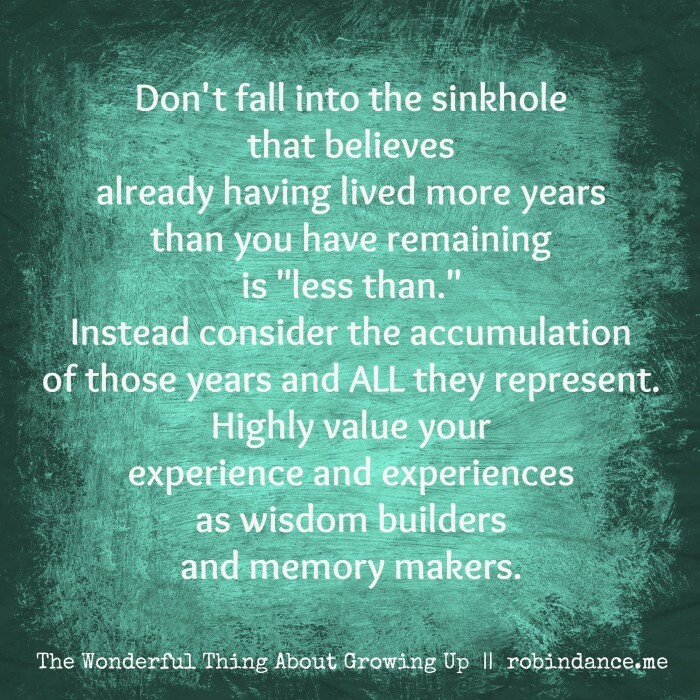 Value your experience and experiences as wisdom builders and memory makers. Look back at 30 and acknowledge all you learned since 20. Think about 40 and all the milestones realized since 30. Celebrate 50 by regarding the highs, and yes, even the lows, of your 40s. Consider the relationships you’ve made during each decade, the people you’ve met and your mutual impact to one another. Age is the price we pay for life and it’s not a privilege everyone has. She gets it. Age is gain and not loss…not in the ways that matter most, anyway. Which, at my age, is important to remember.